Wow guys, guess what? I got a late update and announcement for you all, which I just found out about after I checked my email archive. 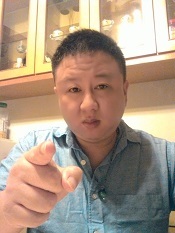 Winston Wu, an Asian American writer, traveler, truth seeker and internet entrepreneur, was born in Taiwan and emigrated to America when he was 3 years old. He grew up in the San Francisco Bay Area, but has traveled widely at home and abroad. He is the founder of two one-of-a-kind movements and two successful websites–Happier Abroad and SCEPCOP–as well as the author of five books on Amazon.com. Winston has been willing to tackle controversial subjects, as his article, “Debunking Common Skeptical Arguments Against Paranormal and Psychic Phenomena”, nicely displays. Included among his interests are the death of JFK, the atrocities of 9/11 and the Moon landing program, where he has elaborated extensive critiques of the government’s “official accounts” on his extremely interesting web site, “Conspiracy Trilogy Report”. Above my bio are the bios of co-authors Jay Weidner and Jim Marrs. Wow. Those are big names in the conspiracy subculture! In fact Jim Marrs' book "Crossfire" was the basis of Oliver Stone's 1990 blockbuster movie "JFK". And Stone hired him as a consultant during the production of the film too. Wow. Its great to be in the league of authors like that. Here's the image of the book cover, with my name on the back of it as a contributor! 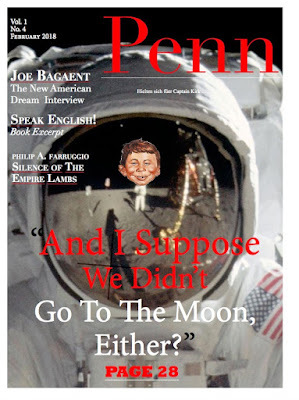 Here also is the front page cover of the PENN magazine issue (Feb 2018) that my moon hoax treatise was featured in! 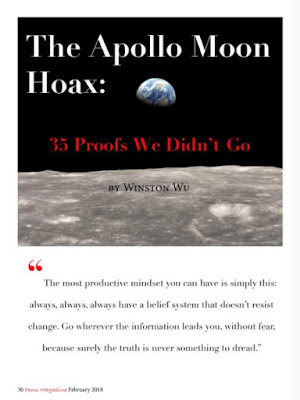 Re: Winston & Famous Co-Authors PUBLISH New Book on Multiple Conspiracies! 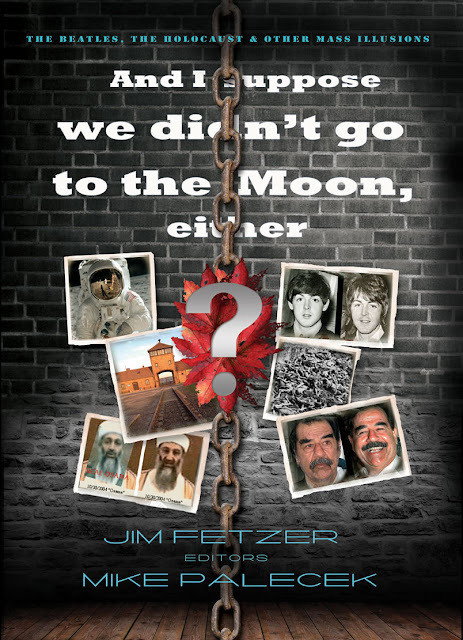 More mentions of our book "And I Suppose We Didn't Go To The Moon Either?" on third party websites and bookstores! Unlike the government, none of us have any reason to lie. Some might say, "This may be the most dangerous book in the world!" And they just might be right! 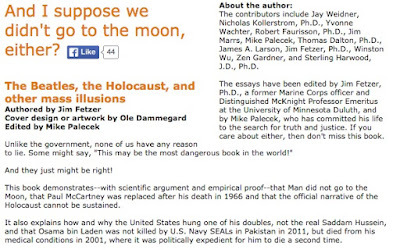 This book demonstrates--with scientific argument and empirical proof--that Man did not go to the Moon, that Paul McCartney was replaced after his death in 1966 and that the official narrative of the Holocaust cannot be sustained. 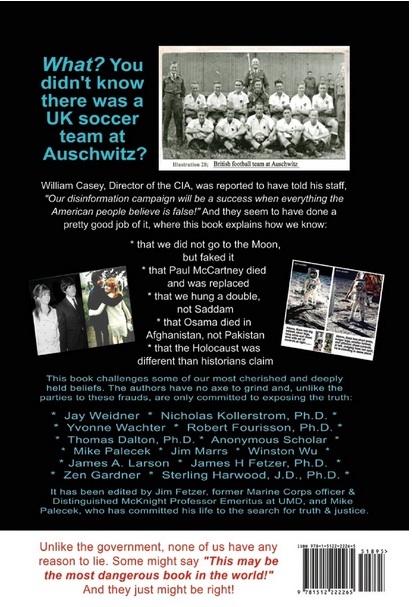 It also explains how and why the United States hung one of his doubles, not the real Saddam Hussein, and that Osama bin Laden was not killed by U.S. Navy SEALs in Pakistan in 2011, but died from his medical conditions in 2001, where it was politically expedient for him to die a second time. The contributors include Jay Weidner, Nicholas Kollerstrom, Ph.D., Yvonne Wachter, Robert Faurisson, Ph.D., Jim Marrs, Mike Palecek, Thomas Dalton, Ph.D., James A. Larson, Jim Fetzer, Ph.D., Winston Wu, Zen Gardner, and Sterling Harwood, J.D., Ph.D. The essays have been edited by Jim Fetzer, Ph.D., a former Marine Corps officer and Distinguished McKnight Professor Emeritus at the University of Minnesota Duluth, and by Mike Palecek, who has committed his life to the search for truth and justice. If you care about either, then don't miss this book. Even though the book was removed from Amazon, there are 70 reviews of it which are still up. Wow that means a lot of people must have read it already! Wow the book is up on Ebay too! Winston, thanks for being involved in publishing this type of info. Not sure I believe all of it but it's certainly politically incorrect and nobody is going to hear about any of this in the mainstream media. But a question for you. Which one(s) of these conspiracy "theories" do you think are actually true as opposed to just being possibities? Some of it is pretty wild to say the least. You mean the ones in the book? Well I'm only familiar with some of them. The replacement of Paul McCartney one i know for sure is true. I have posted conclusive proof of it in the Paul McCartney thread in this forum. However the other ones like Sandy Hook staged shootings and stuff, i dont know. I havent researched it. But Fetzer has lots of proofs and photos to back up his claims. He is a brilliant and logical man so i generally trust his judgment. And as we all know the media lies and is controlled. The holocaust one I'm not sure about. I think the truth is somewhere in the middle. You gotta remember to research that stuff with an open mind and not jump to conclusions in advance. Btw just because im a contributing author in a book doesnt mean i endorse all of it. Wow nice video - I had to click through the snowflake filter to get to it though. I'm back in China and they're burning bibles here. But Amazon is doing much the same with much less controversial material. How long before ur book gets banned? Roosh has already been hit. Although to be fair he did ban so many users from his own forum that it's probably just karma. The problem is that The Powers That Be on the left are banning any kind of debate, and have been for some time. For example in the UK it's pretty much illegal to even talk about immigration. The result is now we live in segregated white and brown towns. My family live in a white town and we go to white bars and do white people stuff. In the UK the left own the media and education. Kids are brainwashed into thinking that multiculturalism is good. History tells us that it is not. Of course the failure to talk is destroying communities and entire countries. Sweden is in serious trouble now. France and Belgium are basket cases, as is Germany. All the smart people are leaving, just like the smart Lebanese abandoned their multicultural country before it became what it is today. Ironically even recent immigrants are leaving the UK. Rock and I met a South Asian British guy in Thailand who had left the wastelands of Northern Britain for a new life being HA. The only way multicultural communities thrive is if you have a strongman dictator (China, Singapore) or you put up with terrorism and soaring crime (Londonistan).